Living as a carpenter who had spent time working in a watch factory, Georg Elser was just an ordinary member of society living in Munich. That is, however, until he took it upon himself to attempt to assassinate the Fuhrer, Adolph Hitler. Being a common man who opposed the Nazi regime, Elser took the skills from his craft and worked to assemble his own bomb detonator. Every night, he snuck out to the Munich Beer Hall, where he worked on assembling the bomb that he planned to use to kill Hitler. Hidden in a hollowed-out space near the speaker's podium, Elser's bomb went off successfully, killing eight people. Hitler was not one of them. This is the story, scene by scene, of the events that led up to Georg Elser taking justice into his own hands, his attempt to murder the Fuhrer, and what happened after the bomb went off. 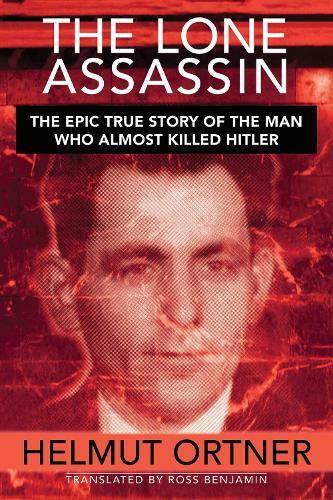 The Lone Assassin is a powerfully gripping tale that places the reader in the dark days of Munich in 1939, following Elser from the Munich Beer Hall, across the border, and sadly, to the concentration camp where his heroic life ended.